This guideline was developed by a group of clinicians and scientists with expertise in vitamin D and osteoporosis. This is a clinical guideline intended to inform patient management. Identifying vertebral fractures systematically has proven challenging for all clinicians and currently more than two-thirds are undiagnosed. The purpose of this guidance is to ensure that all vertebral fractures are systematically identified, reported using clear terminology to the referring clinician and lead to appropriate management to avoid further fragility fractures. In this interactive webinar, the GP and rheumatologist presenters, acknowledging the multiplicity of guidance on osteoporosis management, present a pragmatic approach to risk assessment, treatment initiation, patient reviews, and drug ‘holidays’ or cessation. A reference flowchart and potential targets for audit is also provided. 1) Modifiable and non-modifiable risk factors for osteoporosis. 2) QFracture & FRAX for fracture risk assessment and who to refer for DXA. case study. Who to treat? 4) The role of calcium & vitamin D in bone health. 5) Multimorbidity, frailty, bisphosphonates and vitamin D.
This online training course enables all health professionals to deliver excellent health care to people with or at risk of osteoporosis and fragility fractures throughout the UK. This is the only course of its kind that provides the underpinning knowledge required to deliver best practice. The modules are free to access. The assessment is CPD accredited and costs £50.00. Chronic joint pain accounts for around 1 in 5 primary care consultations. GPs feel overwhelmed and are concerned that they don’t have the time or the skills to give people adequate information or advice. To improve access to better management London Health Innovation Network has introduced Joint Pain Advisors into six primary care surgeries. Their role is to give people simple information, advice about self-management strategies, constructed personalised care plans and use behavioural change techniques to help people adopt healthier lifestyles. 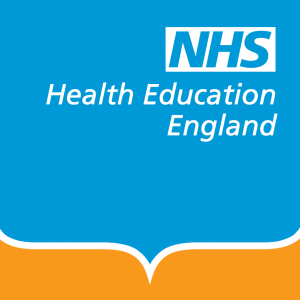 NHS England with its national partners and individual organisations are collaborating to establish new models of MSK care for promoting health and wellbeing and providing care that can be replicated more easily in other parts of the system. The webinar is jointly presented by Dr Christian Verrinder and Dr Giles Hazan, both Clinical Leads who have worked closely with their respective CCG’s to help design, procure and develop integrated musculoskeletal services across Sussex and Dorset. The target audience will be MSK professionals and commissioners – both clinicians and non-clinicians who work in primary and secondary care, CCGs and Healthcare providers.